A walk along Kreshatyk or khreshatyk can be very interesting. The street is located in the capital of Ukraine and is the main street for the city made famous by the orange revolution. What most people do not know is all of the buildings along this street were built after WWII since it was destroyed during the war. There is some interesting architecture and sights to be seen with a stroll along this famous street. On this trip I rented from uaapartment web site they are listed on out links page. There office is located in the heart of Kiev and will meet you at the airport or train station for 35 USD, a bit higher than if you negotiate a fare from one of the taxi drivers at the airport. Most visitors do not read or speak Russian so taking the bus or using the metro in Kiev can be difficult. (there is a map in English on the Kiev travel page). I have stayed with this company on 5 different trips to Ukraine and have had no problem with reservations. They will offer a one night stay if you need it unlike a few other places. On there web site they also offer other services like tours, driver and translator if needed., since I haven't used any of those services I cant say if they are good or bad. The reason I normally stay with them is because they offer internet and after a long journey I like to relax in a Jacuzzi. They have apartments in Kiev ranging from 59-200 depending on time of year and what specials they are running. They also have what they call guest suite's that offer everything but a place to cook, I have tried them and they are quite comfortable. One of the things I really like is on the back of the business card they give you is a map with the apartment highlighted and the contact numbers if you need anything. You can reserve your booking online and they send you a link to pay for the first night you pay the remainder upon arrival. I would suggest paying in local currency since they use the posted bank rate for exchange when paying in another currency. 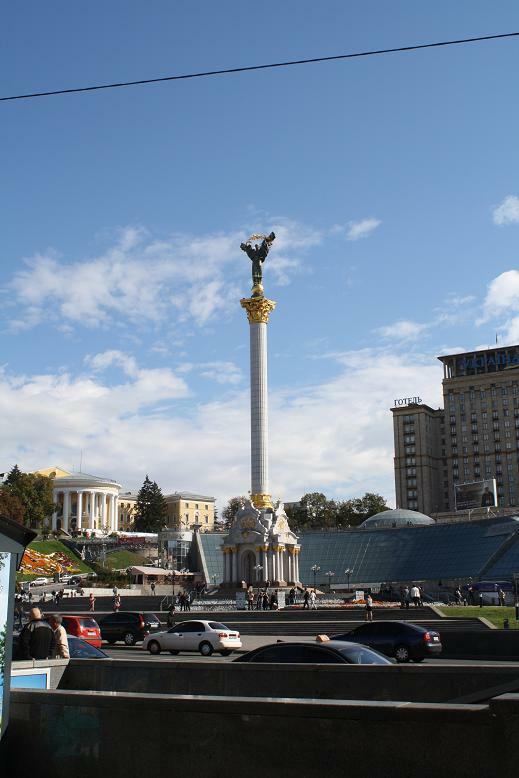 I spent a week walking and touring this beautiful city, Kiev is full of things to see and do. if you only have a few hours in Kiev I would suggest a walk down Krashatik the main street in Kiev. One thing I had to laugh at was the Papa Johns sign, it looks nothing like American Papa Johns. There is also a TGI Friday across the street. They are located at the end of Kreshatik where Arena city is located. The green card versus the American I am taking you for every penny. Lets start with some statistics. 50 percent of all marriages in the US end within the first five years. More than 70 percent of foreign marriages are still together after the first five years. To me that sounds like good odds so it got me to thinking is it because of the green card or is there something to this. Well I started looking into the Immigration rules and timelines for legal citizens. Here are the averages and they fluctuate by 1-2 months depending on various factors. For a fiancée visa called a K1 the time it takes to get a visa then a temporary 2 year green card is just under 1 year on average. 4-5 months for initial visa then another 4-6 months for what is called adjustment of status after marriage. The permanent green card must be applied for within 90 days of expiration of temporary green card. So in total about 3 years to get permanent green card. Then they can say I want to be American and take you for every penny. They can also become a citizen after the permanent green card is issued even if divorced ( don’t recall wait time). 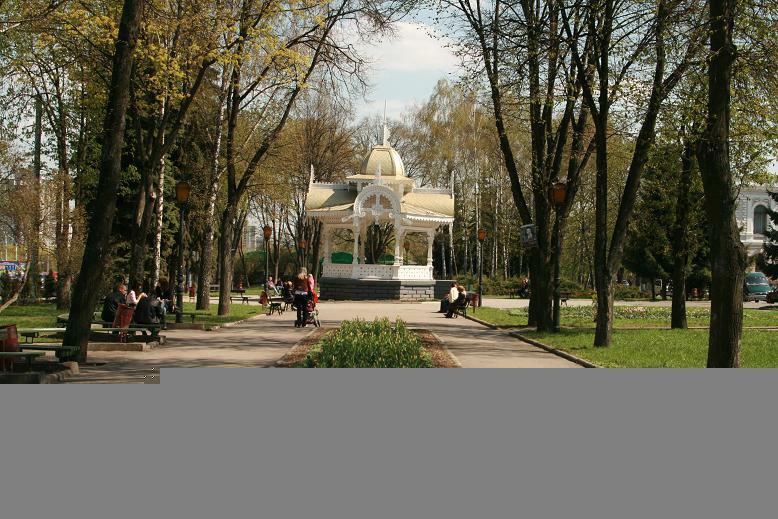 On my last trip to Sumy I explored a little more of the city. seen a restaurant that looks like an old windmill I think it translated to starry mill or something similar. I was told they have great pancakes and a menu in English. there is a beach on the river you can see from the entrance and a walking bridge with a few more restaurants on the other side. I had dinner on the other side with a few friends they also have a menu in English It was 15 minutes walk from the city center so I would suggest taking a taxi or bus number 5 runs out there. While in Sumy I also had dinner at a place called Port Royal that had a brewery and live music outside, there was also a ship in a pond for people to sit and have dinner. I am not a beer drinker but did sample one of the fine beers they produce and I am happy to say it was quite good. on my last evening in Sumy we had take out, we ordered sushi for 4 and it was quite good I have to thank Inna who had the menu in her purse. On this trip I used an interpreter named Inna who was quite good and the price was reasonable 7 an hour, she was quite helpful when I needed to get things done. Since I despise looking like a tourist with a big camera hanging around my neck some of the photos in Sumy are from my iphone. I did break down and take a few pictures with my Cannon rebel as you can see in a few of the better pictures. some of the best pictures are from my mate Pete who is a much better photographer than I am. ( thanks Pete). As the whole world watches the world cup in South Africa the stage is being set for the Euro 2012 tournament in Ukraine and Poland. Kyiv, Donetsk, Kharkiv and Lviv secure the chance of hosting the finals of the Euro 2012 European Football Championship, Vice-Premier Borys Kolesnikov has said. This is stated on the Web site of the Cabinet of Ministers, with reference to Kolesnikov, who announced the results of a meeting of the UEFA supervisory board held at UEFA headquarters in Nyon, Switzerland, on Wednesday.He also noted that the next meeting of the supervisory board would take place in September 2010. "Ukraine and all four cities must do their best to stage Euro 2012. Fifty-two days have passed since the last meeting at UEFA, and UEFA remained satisfied with the efforts being made by the government. However, it's clear that UEFA was dissatisfied with the fact that Ukraine has made very little progress over the past three years. This is what UEFA is dissatisfied with. Therefore, everything is in the hands of Ukraine after the meeting of the supervisory board," Kolesnikov said. He expressed confidence that Ukraine was currently able to cope with all tasks set by UEFA. "I want to say that there's currently no situation that we cannot resolve and that one or two Ukrainian cities can lose their right to host Euro 2012. Thus, all four Ukrainian cities secure the chance of staging Euro 2012," Kolesnikov said. Some say spring is a time for love if you love Ukraine this is true since mid March thru the end of April is when flights are discounted. Lufthansa is advertising $366 to Kiev as of this post I have not found the $366 dollar flight, I will keep looking since the lowest round trip I have seen was $580. in some cases you can even book your summer flight at a bargain. As I plan my next trip to Ukraine with a stop in Sumy and Kiev in that order I am hoping to get one of the bargains offered. I have My apartment reserved and a taxi ready to take me to Sumy as soon as I have my flight information. I will be using the services of a few agency's recommended to me and will report back on what I have found. For research purposes I will be using the services of a small dating agency in Sumy and there interpreter, who knows I might find a keeper. I will also be visiting a few places to dine and getting pictures of some of the sights. As I make progress I will update and post more. Ukrainian girls in flu masks and lingerie made from bandages! The Ukrainian women's organisation Femen held an anti-stress event at Independence Square in Kiev a few days ago on the 9th.